ANNIVERSARY ARTICLE: How the Dead Sea Scroll Discovery Changed Christianity (Andrew Perrin, Relevant Magazine). 2017 marks the 70th anniversary of the discovery of the Dead Sea Scrolls. Long story short, in late 1947 a young Bedouin boy tossed a stone into a cave, heard the clink of breaking pottery, and would later scramble in to find the tattered remains of ancient scrolls from the centuries leading up to and after the Common Era. By 1955, 11 caves off the northwest shores of the Dead Sea offered up fragments of nearly a thousand scrolls inscribed with content of ancient Jewish texts and copies of nearly every book of the Old Testament. Seventy years on, we’ve learned a lot about these accidental yet incredible finds. However, in many ways we’re just starting to understand their original contexts and contemporary impact. BRYN MAYR CLASSICAL REVIEW: Ingrid Hjelm, Thomas L. Thompson (ed. ), History, Archaeology and the Bible Forty Years After “Historicity.” Changing Perspectives, 6. Copenhagen International Seminar. London; New York: Routledge, 2016. Pp. xvi, 229. ISBN 9781138889514. $140.00. Reviewed by Laura Quick, Princeton University (lquick@princeton.edu). The editors recall in their introduction the state of the field in biblical criticism prior to the publication of the studies of Thompson and van Seters, tracing some of the key publications from the pre-1970s landscape of biblical archaeology and concluding that these past studies had essentially accepted the historical construct of the biblical narrative in their reconstruction of ancient Israelite “history.” Into this landscape, scholars such as Thompson and van Seters radically reframed the way in which the Bible could be used in confrontation with the archaeological and extra-biblical data. Writing in 1974, Thompson broke with theory that linked the patriarchal narratives to the lived experience of the Bronze Age. Confirming Thompson’s conclusions, in the following year van Seters extended this critique, arguing that these narratives actually reflect a context in the Iron Age, and not the Bronze. Thereafter scholars felt increasingly able to disconnect their historical reconstructions of ancient Israel and Judah’s past from a biblically oriented narrative, turning instead to evidence gleaned from archaeological findings, as well as ancient Near Eastern texts, and the “Copenhagen School” was born. In this volume, a number of scholars map some consequences of this development as well as possible avenues of future research. Some of the highlights of these contributions are detailed below. RABBI YOSEIF BLOCH: Bikkurim: How the Rabbis Made a Mitzvah for Male Landowners More Inclusive (TheTorah.com). LEEN RITMEYER: Victims of Great Revolt against the Romans laid to rest in Ofra. Dr. Ritymeyer has a photo and drawings of, and details about, the cave in which they were found. RECONSTRUCTION: Archaeologists Reconstruct How the Arch of Titus Looked – in Full Color. When built, the Arch was not a majestic white stone testimony to Rome crushing the Jews, it was a brightly colored monument aggrandizing Vespasian and his dynasty (Ruth Schuster, Haaretz). Now Professor Steven Fine of Yeshiva University and his team have "colorized" the Arch of Titus in Rome, based on the discovery that the menorah depicted on the panel showing Roman soldiers parading with treasures looted from the Second Temple in Jerusalem had been painted yellow. It is absurd to think that the triumphant Romans colored only the menorah, especially as we are realizing they painted everything. The whole Arch was probably a blaze of color that would have complied with the aesthetics of the time, but would make westerners today shudder. Their reconstruction is theoretical, but is based on common sense and standard Roman iconography, and also the belief that the Romans had a very limited palette. For instance blue was a tough color to synthesize until the 19th century: "They had to use costly lapis lazuli, which decomposes quickly." Initially they imagined the Roman soldiers shouldering the Temple spoils walking on green grass, but experts on Roman statuary counseled them to use basalt gray. They could surmise that the trumpets had been colored silver (the historian Josephus says as much) and that the background sky was blue, that leaves were green, and so on. "Our colors are really bright because it's the day they were painted. We took the tone from the yellow and did it across the board," Fine says. For past posts on the Arch of Titus, including the discovery of yellow pigment on it in 2012 and the follow-up leading to this reconstruction of the Arch, see here and here and follow the links. ARCHAEOLOGY: Victims of Great Revolt brought to rest in Ofra. Remains of Jews who perished in the Great Revolt against the Romans and were discovered in Binyamin secretly buried in Ofra (Arutz Sheva). The bones of Jews who perished in the Great Revolt by Jews against the Roman Empire, and which were discovered at an archaeological site near the community of Givat Assaf in the Binyamin region, were recently brought to burial secretly in Ofra. The remains were discovered in 2013 at the archaeological site, which is a Jewish village from the time of the Second Temple. Mikvahs, coins from the time of the Great Revolt and vessels made out of stone were discovered at the site. The bones were discovered in a cave, so this seems to be the first time these people were buried. UPDATE (9 September): More here. JIM WEST: On This Day, in the Year 70 CE, in Jerusalem. Courtesy of Julius Wellhausen. The final defenses in the upper city of Jerusalem fell, probably, on 7 September 70. For more details, see this 2012 Haaretz article: This Day in Jewish History 70 C.E. : The Roman Siege of Jerusalem Ends (David B. Green). MATERIAL (BACTERIAL) CULTURE: Secret Vatican Manuscript's Mysterious Purple Spots Decoded (Stephanie Pappas, Live Science). But when they took into account how skin scrolls were made, the discovery made sense, Migliore said. The first step after removing the hide from an animal was to bathe the skin in a sea-salt bath to help preserve it, she said. This bath would have killed off most microbes that eat away at flesh — but it also introduced salt-loving and salt-tolerant marine bacteria. These little microbes huddled in the middle layers of the parchment, where the salinity was just right. When the scroll was read and stored at various monasteries throughout its lifetime, changes in temperature and humidity would have allowed the salt-loving bacteria to grow and thrive. Many of these species produce purple pigments, Migliore noted. Eventually, though, those salt eaters would have seen their supply run out and died off. Their corpses, Migliore said, provided a whole new source of food for the next phase of bacterial colonization. The Gammaproteobacteria moved in and ate not only the dead halophilic bacteria but also the fine collagen matrix of the goatskin parchment. This caused parts of the parchment to flake off, lost forever. The starting-point, widely recognized, is that there were Western Asiatic people in Egypt. Call them: Asiatics, Semites, Canaanites, Levantine peoples. These aliens were there, for centuries, and they were coming and going all along, just not in millions at a time. The second step was to identify a group among these as the Levites. They are the ones in Israel with Egyptian names, the ones who foster circumcision, a known practice in Egypt, the ones with connections to Egyptian material culture: a Tabernacle that has parallels with the battle tent of Rameses II, an ark that has parallels with Egyptian barks. More problems with the new, supposed DSS fragments? THE LYING PEN OF SCRIBES BLOG: The Museum of the Bible DSS-like Frgs: Written by “the Worn Nibs and Equal Thickness of Strokes Scribal School”? ;- (Årstein Justnes). I take it that Professor Justnes finds this pattern implausible for genuine scroll fragments, although he does not say this directly. Related posts on the new "DSS-like" fragments are here and links. DR. EVE LEVAVI FEINSTEIN: Remarrying Your Ex-Wife (TheTorah.com). A survey of the history of interpretation, with a new explanation. It sounds possible to me. INTERVIEW: Get to Know Christian Brady, Inaugural Dean of the Lewis Honors College (Tim Tracy, University of Kentucky News). Targumist Chris Brady recently made a move to the University of Kentucky. His work has been mentioned from time to time on PaleoJudaica. (See here and links.) This interview tells us some more about his new job and gives and overview of his academic work. This semester, the head of one of the most highly regarded honors programs in the country joined the UK family as the inaugural dean of the UK Lewis Honors College. Christian Brady for 10 years — from 2006 to 2016 — served as dean of the Schreyer Honors College at Penn State University. Previously, he directed the honors program at Tulane University. What is your academic background? I am particularly interested in how people read and interpret the Bible throughout all ages and in all cultures. My primary area of research is in biblical interpretation, specifically rabbinic interpretation of the Bible within Targumic literature. 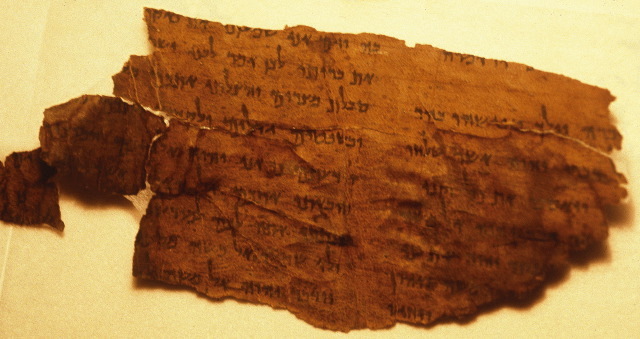 A “Targum” refers to the Jewish Aramaic rendering of the Hebrew Bible; it is a unique sort of translation. A Targum renders into Aramaic every word of the biblical text in its proper order, but often will add additional material, woven seamlessly into the newly formed text. My particular area of interest is how this additional material transforms the meaning of the biblical text in question. TECHNOLOGY WATCH: Pompeii Hero Pliny the Elder May Have Been Found 2,000 Years Later. Pliny the Elder sailed into danger when Vesuvius erupted, and never returned, but a body found a century ago 'covered in jewelry like a cabaret ballerina' may really have been his (Ariel David, Haaretz). Italian scientists are a few thousand euros and a test tube away from conclusively identifying the body of Pliny the Elder, the Roman polymath, writer and military leader who launched a naval rescue operation to save the people of Pompeii from the deadly eruption of Mt. Vesuvius 2,000 years ago. If successful, the effort would mark the first positive identification of the remains of a high-ranking figure from ancient Rome, highlighting the work of a man who lost his life while leading history's first large-scale rescue operation, and who also wrote one of the world's earliest encyclopedias. This sounds crazy, but it could just work. The body was found at the right place and the man died during the eruption of Vesuvius. The gold jewelry he was wearing is consistent with Pliny's status. And the new technology could identify down where he grew up. When daylight came again 2 days after he died, his body was found untouched, unharmed, in the clothing that he had had on. He looked more asleep than dead. In the first years of the 20th century, amid a flurry of digs to uncover Pompeii and other sites preserved by the layers of volcanic ash that covered them, an engineer called Gennaro Matrone uncovered some 70 skeletons near the coast at Stabiae. One of the bodies carried a golden triple necklace chain, golden bracelets and a short sword decorated with ivory and seashells. I would like to know more about the recovery of these skeletons. Presumably Pliny's body was buried after it was found. Possibly this would have been in a mass grave. There were many dead and they would have to have been interred rapidly to prevent the spread of disease. But I would think that the people who knew him would have kept his jewelry and sword to give back to his family. So it doesn't initially sound very likely that the mystery body is Pliny's. This is all speculation, and I don't want to draw any conclusions on the basis of a popular article in a newspaper. But those are some apparent inconsistencies that need to be addressed. On another note, if you read to the end of the article, you'll see that the guy who said "Fortune favors the bold" got himself killed shortly afterward. That's the bad news. The good news is that his rescue expedition may have saved a couple thousand people who would have died if he had turned back. Do your own cost-benefit analysis, but it's worth remembering the context when you quote that saying. UPDATE: Bad link now fixed! Sorry about that. BIBLIOGRAPHIA IRANICA: Iranian, Manichaean and Central Asian Studies in Memoriam Sundermann. Notice of a new book: Einem Team „Turfanforschung“. 2017. Zur lichten Heimat. Studien zu Manichäismus, Iranistik und Zentralasienkunde im Gedenken an Werner Sundermann. (Iranica 25). Wiesbaden: Harrassowitz Verlag. Despite the title, most of the chapters are in English. PaleoJudaica has some interest in the Middle Iranian fragments discovered at Turfan, mostly because they included material from the Book of Giants. Matthew Goff has an article on the subject in this book. Past posts on the fragments of the Book of Giants from Turfan are here and links. And other past posts on Turfan are here and here and links. I believe we can get at what probably took place in Egypt over three millennia ago. That would be a lot. But we have much more. We have evidence that without the historical anchor of the exodus, we would not have had the rise of the idea of monotheism. And without the experience of that returning group from Egypt, we might not have had the ethic of caring for the stranger. Monotheism and loving others as ourselves—two radical developments, major developments, in human consciousness became embodied in the heart of Western religion. Chapter from: The Exodus (HarperOne, 2017). The chapter is the first chapter of the book, which sets the stage for what is to come. I don't know what that is. You would have to buy the book to find out. THE NT BLOG: "Say it with awe!" The Apocryphal John Wayne . Mark Goodacre tracks down the true story behind a famous New Testament (movie) apocryphon. Northern refugees in Iron Age Judah? EPIGRAPHY AND POLITICS: Jerusalem welcomed Jewish refugees 2,700 years ago, new finds show. A trove of clay imprints from official documents indicates that after the destruction of the Kingdom of Israel, refugees fled to the Kingdom of Judah, where they rose in the ranks (, Times of Israel). Millennia ago, Jerusalem may have opened its doors to thousands of refugees from the north of the country. A new cache of First Temple bullae (sealings) discovered in an excavation at Jerusalem’s City of David shows a mixture of names from the Kingdom of Israel and Judah used on official bureaucratic correspondence dating from after the fall of Israel at the hands of the Assyrians in 720 BCE. The dozens of clay imprints were used on letters and documents which were bound by string and sealed by wet clay pressed with the sender’s mark or name. The impressive trove was discovered at recent digs uncovering three Late Iron Age buildings frozen in time by the destruction caused by the 586 BCE Babylonian siege. The discovery was made by a team of Israel Antiquity Authority archaeologists led by co-directors Dr. Joe Uziel and Ortal Chalaf. Among the dozens of bullae is a rare find of an intact sealing, bearing the name “Ahiav ben (son of) Menahem,” referring to two kings of Israel but found in the capital of the Kingdom of Judah, Jerusalem. The reasoning here more or less accurately reflects the IAA press release, which you can read here. But I do not find it compelling. They found several names that are found in the Bible only as names of northerners. But I don't think we know enough about the Israelite and Judean onomasticon (range of names) to rule out that southerners also bore them. It seems likely enough that Judah accepted refugees from Israel after the fall of the Northern Kingdom. These bullae may reflect that, but I don't think we can be sure that they do. The third paragraph could be phrased more clearly. Two kings of Israel did have these names, sort of, but the person named on the bullae was not one of these kings, or indeed any king. Backgeound on the upcoming exhibition of these bullae is here. SOURCE CRITICISM: The Challenge to Diachronic Method From Empirical Models of Ancient Writing. In looking beyond the Hebrew scriptures to the epigraphic corpus of the ancient Near East, we multiply the data from which to adduce theories of textual development. When biblicists hypothesize theories of textual development, they do so situated in a distinctly modern textual culture and are prone to project anachronistic attitudes and practices upon cultures at a great distance in time and place. Empirical models offer us methodological control as we observe how ancient scribes more closely contemporaneous with the scribes of Israel edited and expanded cherished texts across the centuries. The new book sounds interesting, as do the ideas summarized in the essay. But the use of "empirical models" to study biblical source criticism isn't all that new. The phrase comes from the book Empirical Models for Biblical Criticism, edited by Jeffrey Tigay in 1985. (A reprint by Wipf and Stock is available here). And that book was influenced by Tigay's 1982 monograph, The Evolution of the Gilgamesh Epic. The 1985 collection really belongs in the bibliography of this essay. Barry Holtz on "Rabbi Akiva"
AUTHOR INTERVIEW: In New Book, JTS Professor Traces His ‘Cultural Footprints From The Rabbinic Past.’ Barry Holtz pieces together an “imagined biography” about Rabbi Akiva, the much-admired rabbinic figure (SANDEE BRAWARSKY, Times of Israel). Holtz has written what he calls an “imagined biography” about the much-admired rabbinic figure born around 50 CE. “Rabbi Akiva: Sage of the Talmud” is a compelling new volume in Yale University Press’ “Jewish Lives” series. While Akiva’s name is mentioned 1,341 times in the Babylonian Talmud, he is a “man without a past.” What exists are stories — literary anecdotes about his life, parallel retellings that are not identical, lessons inferred from his actions, drawn from the Mishnah, Tosefta, the Babylonian and Jerusalem Talmuds and midrashim — all “internal” sources of Judaism. Understanding that these stories can’t be read as factual accounts, Holtz parses them, often in various versions, to tease out the culture, values and religious teachings embedded within. Amidst the challenges, he manages to capture Akiva’s distinctive voice. DR. HACHAM ISAAC SAASOON: What Does Deuteronomy Say about Homosexuality? (TheTorah.com). “Let there be no kadesh among the sons of Israel. You shall not bring the fee of a harlot or the pay of a kelev (dog?) into the house of YHWH” (Deut 23:18-19). It is not certain that this passage refers to homosexual prostitution. But if it does, Dr. Saassoon draws out some significant implications. Past PaleoJudaica posts on homosexuality in the Hebrew Bible and ancient Judaism are here and links. EPIGRAPHY: New Archaeology Exhibition: Ancient Bureaucracy and Clerks From Israel’s Past. A collection of seals (bullae) from the late First Temple period, discovered in the City of David excavations, shed light on the bureaucracy and officials of ancient Jerusalem (Hana Levi Julian, The Jewish Press). There are a lot of unprovenanced inscribed bullae whose authenticity is doubtful. But it sounds as though all the ones in this exhibition were excavated by archaeologists. In that case, they are genuine. When does Deuteronomy let you eat from your neighbor's field? PROF. SHAYE J.D. COHEN: Permission to Eat from Your Neighbor’s Field? (TheTorah.com). Parashat Ki Tetze (Deuteronomy 21:10-25:19) contains more commandments than any other parashah. According to one mitzvah tabulator, the count is 27 positive mitzvot (“thou shalts”) and 47 prohibitions (“thou shalt nots”). The commandments are simply listed, one after another, with little or no thematic or verbal connection between them. Without contextual clues how to interpret the law, we are left with just the plain text whose meaning is often elusive. The Department of History (http://history.ucsd.edu) at UC San Diego is pleased to announce a search for the Endowed Chair in Studies in Ancient Jewish Civilizations and concurrent tenured appointment at the full or associate professor level in the Department of History. Scholars whose research focuses on the Second Temple period, the Rabbinic period, and Jewish interactions with the Hellenic world are particularly encouraged to apply. Income derived from the Chair’s endowment will be available for the support of research and related scholarly and teaching activities. The successful candidate will join UC San Diego’s cohort of Endowed Chairs specializing in Greek History and Jewish Studies and will help enhance the department’s gathering strength in the History of the Ancient Mediterranean. The successful candidate for this tenured position must have a Ph.D. in History or a related field at the time of appointment on July 1, 2018. Follow the link for further particulars. The deadline for first consideration of applications is 1 November 2017. THE EIS DOXAN BLOG: Biblical Studies Carnival (Jason Gardner). NEW BOOK FROM MOHR SIEBECK: ANDREI A. ORLOV, Yahoel and Metatron. Aural Apocalypticism and the Origins of Early Jewish Mysticism. 2017. XII, 238 pages. Texts and Studies in Ancient Judaism 169. 114,00 €, cloth, ISBN 978-3-16-155447-6. In this work, Andrei A. Orlov examines the apocalyptic profile of the angel Yahoel as the mediator of the divine Name, demonstrating its formative influence not only on rabbinic and Hekhalot beliefs concerning the supreme angel Metatron, but also on the unique aural ideology of early Jewish mystical accounts. IS THAT IN THE BIBLE? Some Curious Numerical Facts about the Ages of the Patriarchs. Paul Davidson makes a thought-provoking case that the Masoretic Text adjusted the length of the patriarchal period in Genesis to make the total a number that had eschatological significance. I don't know if he's right or not, but assuming he is, it makes me want to ask the next question: Why did they do that? The Tower of Babel in LXX Isaiah? SEPTUAGINT STUDIES BLOG: Inner-Biblical Exegesis between Old Greek Isaiah 9:9 and Genesis 11:3–4? (JOHN MEADE). The Old Greek (OG) translators are often times (mis)understood to be mechanical in their approach to translating the Hebrew Text (HT), often pictured as giving a plain, or even rigid, word for word rendering of their Hebrew source. Of course this description is closer to the mark when describing Song of Songs or Ecclesiastes or even Numbers etc. But not all translators went about their task in this way. Some of them wove deliberate interpretation or exegesis into their translations (of course all translations are interpretations to a degree so that we should think about translations on a continuum from less to more interpretation). The Isaiah (image: Codex Marchalianus) translator is an example of a more interpretive translator, and I was struck by what appears to be a beautiful example of his technique in 9:9. NEW BOOK FROM BRILL: The Prophetic Voice at Qumran. The Leonardo Museum Conference on the Dead Sea Scrolls, 11–12 April 2014. Edited by Donald W. Parry, Brigham Young University; Stephen D. Ricks, Brigham Young University and Andrew C. Skinner, Brigham Young University. Contrary to the generally held view, the Second Temple Era was not a time of prophetic dormancy, but of genuine activity, though of a different character than that of the pre-exilic age. The conference on The Prophetic Voice at Qumran, held 11–12 April 2014 at the Leonardo Museum in Salt Lake City, provided a venue for lively discussions of many of the issues connected with the question of prophecy and prophetic writings in the Dead Sea Scrolls and Second Temple texts. Three of the scholars—Emanuel Tov, Eugene Ulrich, and James C. VanderKam—were featured as keynote speakers, and an even dozen scholars made presentations at the conference, of which nine are published in the present volume.